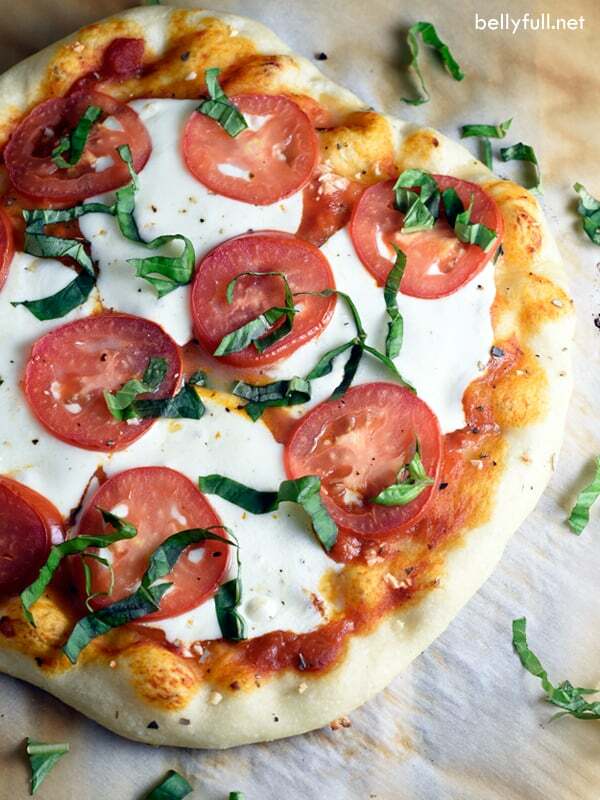 No electric mixer or fancy pizza dough hook needed for this Quick and Easy Pizza Dough. Mix everything in one bowl, let rise for an hour, knead 1-2 times, and that’s it! Makes 1 large pizza, cut in half for 2 medium pizzas, or quarter it for individual pizzas. Foolproof every time! I went from being terrified of yeast, to getting my feet wet with the Cheese Zombies, to completely obsessed with pizza dough. Paul bought me a baking steel and these fun dice for my birthday last month >> which, btw, was clearly just as much a present for him, as it was for me! I don’t think, however, he knew how much pizza he was about to eat from now until eternity. Or until I get fixated on something else. After many articles and recipes, I fell in love with this basic dough. I’ve been going through a batch a week. But the beauty is, it’s so incredibly easy to make! 1. Use fresh yeast for the dough. You know the yeast is still good if it foams. If not, toss it and get a new batch. 2. The dough needs to rise until doubles in size. In the winter time, I like to place the bowl of dough on a heating pad to aid in the rising time. 3. Don’t go crazy on the toppings. I know, I know…it’s hard to resist the urge. But the best pizza pies actually have fewer toppings. 5. Use a good, heavy, baking stone or steel. They hold tons of heat energy, releasing it quickly into a pizza as it bakes, giving it a crispier crust. 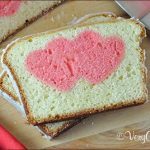 Other Easy Bread recipes you might like! No electric mixer or fancy dough hook needed here! Mix everything in one bowl, let rise for an hour, knead 1-2 times, and that’s it! 1. If the yeast doesn’t foam, it isn’t good anymore. 2. In the winter time, I like to place the bowl of dough on a heating pad to aid in the rising time. 3. Dough will keep in the refrigerator for 3 days or in the freezer for 2 months. 5. Suggestion on cooking: with a pizza stone in the oven, preheat to 500-550 degrees F for at least 30 minutes (preferably an hour.) 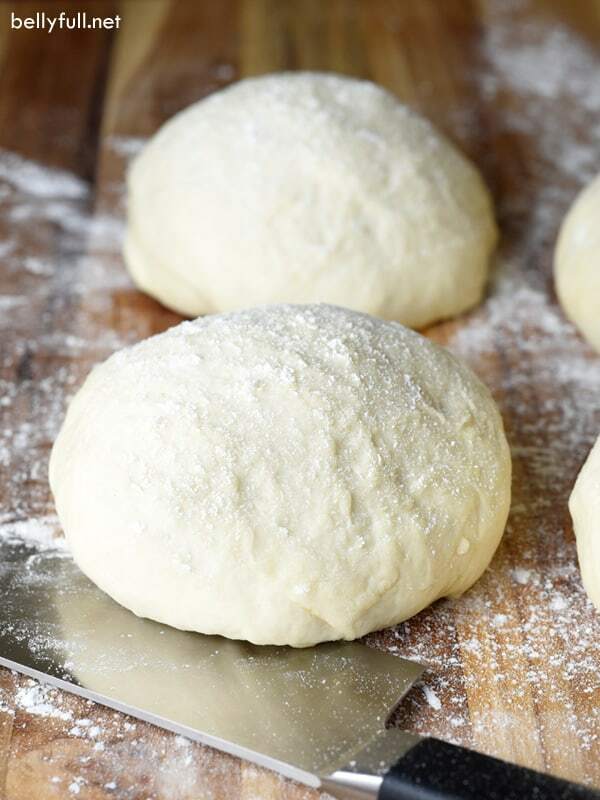 Place dough on some lightly floured parchment paper; starting at the center and working outwards, use your fingertips to press the dough to 1/2-inch thick round. You can pinch the very edges if you want to form a lip. Transfer parchment with the flattened dough to a peel or baking sheet. Brush with a little olive oil, then your sauce and toppings (do not load up each pizza with a ton of toppings as the crust won’t end up crispy that way.) Slide the pizza, along with the parchment, off of the peel and onto the baking stone in the oven. Bake for 10 minutes, until the crust is browned and the cheese is golden, then sprinkle a little more cheese and bake for another 2 minutes until melted. Where do you find the yeast? All grocery stores carry active dry yeast. Look in the baking aisle. I’m trying the recipe for the first time, never did pizza at home until i saw this recipe in pinterest today. ?and i will let tou know results later on , wish me luck ? How did it go? I’m thinking about trying it … tonight?! Can’t believe I forgot to add the olive oil! But I tried working it in before the rise and it is looking like it might work. Rose really well! Baking two individual ones now and froze two. Hope they are good with my boo boo! They came out just l like from pizzeria-better! Thanks all look much for this recipe! Was wondering how the dough dies when frozen or if can be refrigerated overnight. I need to make a dough to take to my preschool class tomorrow fir pizza day. I haven’t seen any comments on how to use after freezing or if it holds the rising properties in the fridge. Hi Lynn – did you read my recipe notes in the printable card? I think that will answer your question, thanks! I don’t see so good so I must have missed it. I will try to find them. Thank you! I found it! Thanks! I am excited to try the recipe. Every comment I read talked of how goo it was! This was my first time making pizza. So incredibly easy and delicious! Thank you, I will be doing this recipe every time we have pizza. 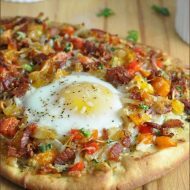 I would love to try this pizza dough recipe but need one piece of information, please. My heating pad has four settings and wonder which one to use. Thank you. The lowest setting. It’s just supposed to provide some warmth (especially in the wintertime), when your house is cold. Just keep an eye on it – the dough should double in size, which usually takes about an hour for me. Thanks! Very good recipe and extremely easy. I have made this several times. Thanks! How much is 1 cup of flour in grams? Actually, what the description says is “Mix everything in one bowl, let rise for an hour, knead 1-2 times, and that’s it!”…and that is just that – a description, not instructions. Thousands of people have made this recipe with great success, so my suggestion would be to try again with the directions. Thanks! This is a good recipe. I suggest reading the full recipe and giving it another try. Good luck! Feel like I’m late to the party but I just found your recipe on Pinterest. Best pizza dough I’ve made in a long time. So easy and it came together exactly as you said it would. I used about 3/4 of the dough for a nice large pizza and the rest I turned into garlic knots. Delicious!! Just made the dough and it was easy i loved the smell of the dough alot of dough can’t wait to try it. I made the dough tonight so we could have a late night pizza snack I loved the recipe fast easy and delicious thank you there will be lots of grilled ? in my house. Gluten free flour did not turn out well. No fluffy dough to be had. No likey at all. The dough was like a gut bomb. Back to regular flour for me! Anything in the pasta or bread families have not done well for me with gluten free. They always turn out gummy or flat. So we use regular flours & pastas. You have to add agar agar or xanthan gum to the gluten free flour to add some “spring” to it. Gluten is what makes the bread soft! I am eager to try this recipe! I think I’ll use avocado oil though as I recently learned that olive oil cooked above 375 degrees (smoking point) causes free radicals (which can lead to cancer) Just wanted to share so others were aware ! Thank you for the recipe though! Olive oil is the healthiest oil you can eat and this myth about heating it and free radicals is just another way big companies get you to buy their genetically produced oils like canola. Avocado oil is wonderful though but I wouldnt worry about olive oil heating and cancer…mediterranean people have been heating it up for thousands of years and they are some of the healthiest people on the planet! This Greek and thousands of others have been cooking with olive oil for centuries. Since you’re concerned, the best thing to do is to cook with regular olive oil which has a higher smoke point than extra virgin. 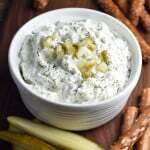 Save the extra virgin for everything else, like salads, dips, etc. Regular olive oil is cheaper as well. Have you noticed a change in quality of the crust based on fermentation time in the refrigerator? I used about 3 1/4 cups of flour instead of four! Turned out great! I love a good pizza dough! Your photos are beautiful. 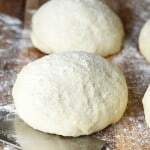 I use this recipe not only for pizza night but also for making Italian Doughnuts. So good and so easy!! Love, love this recipe!!! Lovely recipe! Ran out of flour (noob mistake!) and ended up using only 3 cups but turned out just as good! Thank you!! Hi going to try this today..does it work to double the recipe? Or should I just do 2 separate batches. Would mixing this up in an electric mixer work the same? Hi Jasmin – using an electric mixer is unnecessary. It literally takes about 1 minute for the dough to come together in the bowl with a wooden spoon. How do you get away with kneading it only 1 or 2 times? Most recipes say to knead at least 5 minutes. Because it’s a no-knead dough – not all recipes are the same. Read all the reviews…everyone loves this recipe. Try it. If you’re like me and forgot to pick up olive oil(or any oil at that) you can do 1/3 cup melted butter instead and rub your bowl down with it as well. Was so good and so fun to make with the boyfriend! Can coconut oil be used in place of olive oil?? Hi Cora – I’ve never tried that. For optimal results, stick to the recipe as written. Thanks! This comment is extremely late but coconut oil is a nice healthy substitute! I prefer to use olive oil or butter but coconut oil works. It gives a slightly different flavor which some people like while others don’t particularly enjoy. You just have to be aware that it’s solid at room temperature so if it cools the dough may look a littlest strange but it will melt abs soon as you stick it in the oven. This is my first attempt at making a pizza, and I am very happy with the result!! Thank you very much for sharing this recipe! My Husband is italian and he was never always failed to make the dough rise, therefore he couldn’t believe that I did exceptionally well at the first attempt! Thanks to you! That’s awesome – so happy to hear it! If I want to use this to make calzones would this still work if we made it one day and then baked the calzones the next day? Also what temp and how long do you bake the dough for? Hi! What would happen if you used instant yeast instead of active dry? I don’t know. Probably wouldn’t matter. Try it! Made this pizza dough for the first time today. In fact, it was my very first attempt at making pizza dough! It could not have been easier! I made a stromboli, and I’m happy to say, it looked and smelled wonderful baking in the oven. After patiently waiting for it to cool, we’ve just now enjoyed a few slices, and I couldn’t be happier with the results! One change, because I made one large stromboli from the dough, the results were a bit doughy. Next time, I’ll make two. Now I can’t wait to try pizza on the grill! Again, I,’m so pleased to find this was not only easy, but yummy! So happy to hear it, Jan! This was the best pizza dough I’ve ever made. I made one thick crust pizza and after it was done I was worried the crust would be too dry. Well, it wasn’t. It was light and airy inside. I topped it with a little marinara sauce, fresh mozzarella, pepperoni and scoops of ricotta. It was perfect. Thanks for a great recipe. Wow………Just amazing & Very easy. I tried it, Very easy to cook. Thank you for the sharing. If frozen need defrost first? 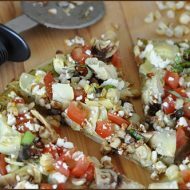 I have never made a homemade pizza before and I wanting to learn how. Never heard of a baking steel, so I looked it up and found out what it is. So which is better the stone or steel to bake a pizza on. Do they come in different sizes? If yes what is a good size for making medium to large pizza on? I’ve only made the recipe as listed. Feel free to experiment, but the results may differ from what I’ve shared. This crust it so good!! It gets puffy and crispy and is super easy! Can I sub with whole wheat flour?? Hi Anne – I haven’t tried this recipe with wheat or whole grain flour yet, so I can’t vouch for the results. But I would like to experiment with that. Maybe only swapping out 1-2 cups instead of al 4 at first, and maybe increasing the liquid a little bit. Whole wheat flour in pizza dough is much more forgiving than with other baked goods, so I think it could work, but would definitely take some tweaking. *i do use alternate flours. A mixed flour does best. I have used Spelt and whole wheat with white flour. 2 cups white and two cups whole wheat did best. It past the kid taste test with no complaints. Definitely needed extra liquid. Added a little at a time until texture was right. I would like to tell you that THIS is easily the best pizza dough I’ve ever made. When I told my husband and son I was making homemade pizza they groaned- I’ve made more than enough crappy pizza dough to last them a lifetime. This is light without being flimsy but dense enough to give you a great texture that you can really sink your teeth in. My guys liked it so much we have decided that every Saturday is homemade pizza day and this is now our go to. 4th week in a row- no matter the weather- this dough has turned out perfectly every time. Thank you for sharing your recipe with us! This makes me so happy, Melissa! Thank you for letting me and my other readers know! We did a pizza bar for New Years Eve where everyone gets to make their own pizza and customize with different toppings.. I made two batches so we could have 8 pizzas. It was a big hit! The dough was definitely quick and easy. pressed them out pretty thin and baked them for about 13 minutes to get a little more crispy. They were perfect! Did you bake the crust prior to adding toppings? Or did you just bake it longer? Has anyone tried this with organic all purpose flour ? I am making it right now with organic flour! Wondering if yo can cook pizza dough on a cookie sheet if you don’t have a pizza stone? Yes! It just probably won’t be as crispy. You can try playing with the cooking time (slightly longer), but you don’t want your toppings to burn, so keep an eye on it. 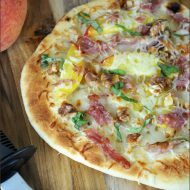 Hi, this pizza dough recipe sounds awesome, can’t wait to try it! I buy the jar of yeast instead of packets, as I bake bread rolls often. Can you please tell me the actual measurement, ie. teaspoon(s) or tablespoon(s) that equal to the 2 packets of yeast? Hi Sheila – there is approximately 2 1/4 teaspoons in each 1/4 ounce packet, so you would need 4 1/2 teaspoons total. Have you ever used this recipe for stromboli? Just curious. I see someone used it for calzones, nice. Thanks. No, I haven’t ever tried that. This is the first time I’ve made pizza dough, and I have to say, it could not have been easier! I’ve made Stromboli with the dough and have it in the oven now. It looks and smells fantastic! Next, pizza on the grill. Thanks for a terrific and easy recipe! Hi it’s Trish again with an update. The pizza came out awesome, made 2 round ones and still had a bit of dough left over. I found the dough to be similar to a bread dough (versus a pizza dough) but it was so light and airy that we almost ate both pizzas. One I put fresh tomatoes/basil and grated parmesan & fresh grated provolone. The second one pizza sauce, salami, musrooms and pizza sauce. Can’t wait to make it again. Thanks for the awesome recipe. So happy to hear it and I love your choice of toppings! Made the dough a few hours ago and it came out fabalous, nice and light and very pliable. Two pizzas in the oven now, I’ll keep you all posted on how it came out. Looks delicious. This is definitely going to be used enough to commit to memory! Changed how long I let the dough raise and how I baked it (erm, ok fine I got lazy – still recovering from the whole Thanksgiving meal thing). This dough has the perfect flavor, and baked to a perfect crisp! I halved the recipe and it was exactly what I needed for my 9×13 baking stone. I just made this dough. I think i did something wrong as it is EXTREMELY sticky. I let it rise for an hour and a half, turned it out and attempted to knead it 3 or 4 times…all the while it was sticking to the counter, my hands…everything! I then let it sit 10 more minutes. Attempted to cut it with a knife so i could throw it in the fridge for later this evening…it stuck to the knife! So i tore it apart with my hands put it in saran wrap and put it in fridge….not so sure its going to work out for dinner….what did i do wrong? Should i have added MORE flour when mixing? When it is that sticky add more flour until it is no longer sticky. Also place some flour on your board or counter when you knead it too. Did I overlook the recipe for the sauce? I used to make pizza myself but gave that up as it was always a hit or miss for me. But, what is your Sauce secret? Please don’t stop at just the crust because the wrong sauce could spell disaster for a great crust recipe I’ll be trying out very soon! This is really a spectacular pizza dough. I made it tonight and the pizza came out good. However, the dough rose too much, I guess, and was very thick and not crunchy. Still delicious, though. Do you have any idea why it came out more like cake dough? Me too! I’ve tried so many pizza dough recipes that wasn’t good. This dough is perfect. Regarding dough rising too much, I would add; mine came out like “hand tossed”. If you want a dough that’s crunchy thin crust perhaps roll out thinner. Probably not the dough but the prep. Hopefully that helps. I have baked a lot of bread and prep is everything ? Tried this last night and it came out great! I used it to make Calzones instead of a pizza. Best pizza dough recipe I have used. I am printing this recipe to add to my recipe binder! Yay! Always love it when I make it into someone’s binder! Hi! I have a jar of yeast not packets, what would be the correct amount we should use please? Hi Robin – each packet contains 2 1/4 teaspoons, so you’d need 4 1/2 teaspoons total. Late posting but tried your Amazing pizza dough and it came out Perfect. My husband Love it. NO MORE FROZEN PIZZA FOR US !!!! Thanks for this Great recipe ! why 2 packs of yeast when one would do? just curious since other dough recipes usually call for one pack and artisan dough calls for less than one. thanks. I made this tonight and it was great. Have you ever tried freezing it? I actually made the dough yesterday and it still rose overnight and a bit this afternoon so I was wondering how it worked if you ever tried freezing it for a quick dinner. Hi Angela – see #4 in my notes. Make sure it’s completely done rising first. Can you leave parchment on or take it off before baking it on the pizza stone? Hi Lana – you can leave it on! Actually makes transferring the pizza off of the stone easier. I love it! Quarter into 4 equal portions and everyone can choose their own toppings and make their own! I agree, parchment paper is by far the cleaner and easier way to go. No cornmeal mess on your stone or in your oven. Plus if you have a 1″ margin of parchment paper around your pizza and some cheese melts over the edge of your crust, it won’t mess up your pizza stone, smoke up your kitchen and stink up your oven. Sometimes I remove the parchment paper when there is 3-4 minutes left to bake. I think it browns the bottom a bit better. I do the same when I bake a free form bread like ciabatta. Did you mean you knead it 1 or 2 minutes? (not 1 or 2 times) It just seems like other recipes require you to knead it longer. Nope. 1-2 TIMES is correct. This is basically a no-knead dough. Could not be easier. Could you please advise what brand extra virgin olive oil you prefer? Many thanks for your response and this recipe! Hi Judith! I always have STAR on hand, which can be found at your local grocery store. Enjoy! Wonderful! Thank you! Many Blessings to you and yours! Can you sub the sugar with agave? Just use a little less? Hi Lisa – I wouldn’t recommend it, sorry! This dough was just perfect!!!! Thank you so much for such a easy recipe as well as delicious. My household loved it. This is the first time ever I made a pizza base and it turned out just wayy too perfect.My husband and kids and friends loved it!!! Usually when we buy pizza from the store my kids and husband leave the crust behind coz its so hard..but with this pizza the plate was empty..melts in your mouth. I’m so happy it worked out for you! This was my first time making my own pizza dough and it turned out great! My husband swore I snuck in carry-out when he wasn’t looking. I added some Italian seasoning and garlic to the dough before I added the topping and it was so yummy! Definitely saving this. So l let rise if lm keeping in fridge over night? Yes, let rise completely. Then wrap whole dough or 4 equal portions for individual pizzas in plastic wrap before placing in the refrigerator. How do you use after refrigeration? Allow to warm up to room temp then use or does it require another rise? No, just use straight from the refrigerator and proceed per directions. Made this the first time a few weeks ago..doing it again today! Was so ez and was my 1st time attempting dough. Even let my 6yr and 2 1/2yr little girls help make their own pizza. They loved getting messy with flour but we had fun and pizza was so good. Thanks fo sharing this! I made this dough last night, used half of the recipe and replaced the sugar with honey! This was my first time making my own dough and I think it came out great!! I used a pizza stone to bake in the oven and added a little flour to stone before putting the dough on top and it only stuck in a few places. I may try putting olive oil next time. Thanks for sharing your recipe! Make sure your pizza stone has been pre heated for 45 minutes and the dough will not stick. I used your dough recipe for the first time this afternoon, and we all thought that this was the best pizza I’ve ever made! I used all the same ingredients as I normally do, except for the crust. I had been researching other dough recipes before I tried this, and most sources agree that using bread flour instead of AP makes the crusts crunchier. Since we prefer crunchy, that’s what I used. I ended up only using a little over 3 cups of the bread flour; it would have been too dry with 4. I kept my oven temperature at 500, and preheated my pizza stone while I was forming the crust onto a piece of parchment paper. I slid the parchment onto the pizza stone, and pre-baked it for 5 minutes. Then I took it out, loaded on the sauce and toppings, then slid it back on the sizzling stone. I baked it about 8 minutes, then topped it with a little more cheese, and put it back in the oven for another two minutes. Then took it out, and let it rest on the stone for 3 minutes to set the toppings before attempting to slice it with the pizza cutter. The crust was crispy on the bottom, but tender on the inside, almost like a French bread, and delicious! This will be my go-to recipe from now on! Thank you so much for sharing it! So happy to hear it, Diane! Thanks for writing! Amy, I am so trying this recipe! and how can I get MY Paul to get me a baking steel???!!! We make pizza all the time and I always need to pull out the mixer. I’ll definitely be trying this. I’d like to try homemade dough so I can make my crust extra thin! I love making my own pizza dough and this one looks just beautiful! I love making homemade pizza dough. This recipe looks perfect! Well, nothing is quicker than buying bread already made! HA. But this is truly as easy as homemade gets, IMHO. I hope you like it! Placing the dough on a heating pad is SO smart! I usually put it in a cold oven with a pan of boiling water set in the bottom, but the heating pad idea is so much easier. We’ve been experimenting with different homemade pizzas once a week — the kids have a blast with it. I’m excited to try this dough recipe! I saw that tip on Pinterest a few years ago and I was like “Whaaaaat? DUH.” It’s life changing, especially if you make bread a lot! I like to make my pizzas ahead of time and freeze them. Normally I prebake crust, add toppings, freeze, then when I need any easy dinner throw it in the oven. It works fine with the dough mix I buy at the store, but I’m ready to transition to homemade dough. 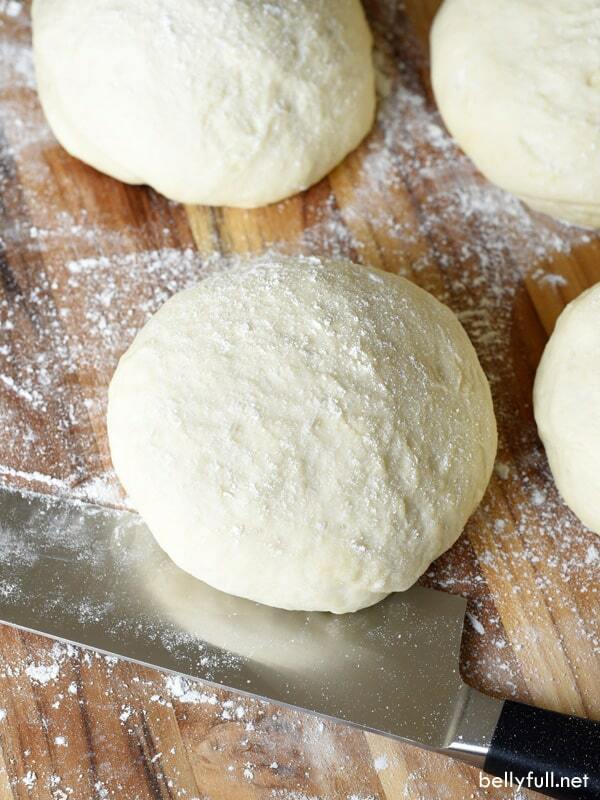 Have you used this dough to freeze pizzas before? I always freeze the balls, then thaw, toppings, and cook. I haven’t ever formed the dough with the toppings prior to freezing. But I’m sure it would be fine!